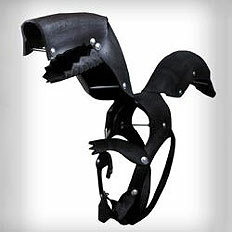 TOYDIRECTORY > WILDLIFE CREATIONS INTERNATIONAL INC.
About WILDLIFE CREATIONS INTERNATIONAL INC.
Watch WILDLIFE CREATIONS INTERNATIONAL INC. Archives of Older Product Videos by TDmonthly. 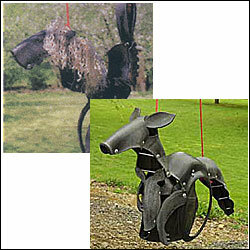 Wildlife Creations International manufactures Children's Tire Swings made from recycled auto and truck tires. 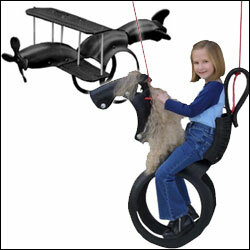 Our swings are all hand made and sculpted from beginning to end in the U.S.A and Europe. We are copyrighted, insured and alp tested by one fo the world's noted labs, Intertek Testing. We follow the A.S.T.M F1148-88 home playground equipment safty standards, and we enclose with every swing sold, a copy of the construction of the swing and how to install it. Our main effort is to ensure saftety, satisfaction and of course, repeat sales at very affordable prices. All of our swings are branded with our copyright seal. Rope will hold up to 200 lbs.